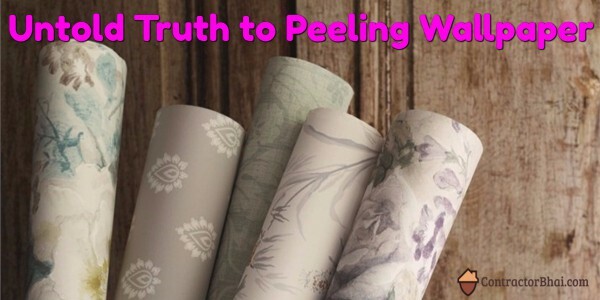 Peeling of wallpaper is a very rare thing. it would happen where the adhesive used to stick onto the wall, is used in lesser quantity then required. But do not worry about it. It can easily be fixed. If its not a larger area, then you can do it yourself. For that you will require wallpaper seam adhesive, a paint brush, rug, and a wallpaper roller. You can simply pull the corner or paper till it firmly adhered to wall. Next, apply the wallpaper adhesive to peeled area. Then slowly press the wallpaper to its area and run the roller on it. With the rug, wipe out the excess adhesive. Simple!!! But places where wallpaper is affected because of leakage problem then its difficult to repair. You can say its unfixable. But as far as application of wallpaper is concerned from an experienced professional wall paper contractor, do not worry. Because we have well experienced and skilled installers who have been doing this job past 40-45 years. And if by any chance work is not up to date, we will make sure its rectified.